The Port Aransas jetties offer a unique style of shore diving. They are the only real spot in the Corpus Christi area for shore diving. Most times we will meet at the Port Aransas South Jetty off of Cotter Avenue. There are many places available to dive on all along the jetty there. Wildlife includes redfish, trout, tarpon, cobia (ling), sea urchins, sergeant majors, angelfish, pufferfish, crabs, flounder, sea turtles, drum and much more. There have even been seahorse and octopus seen out there! Visibility can range from 1-30 ft and is very hard to predict. It can be affected by the tides, tankers and the wind. 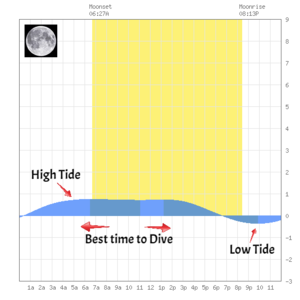 The best time to go is usually during slack tide directly after the high tide, the less wind the better. Click here to check on the tides yourself. 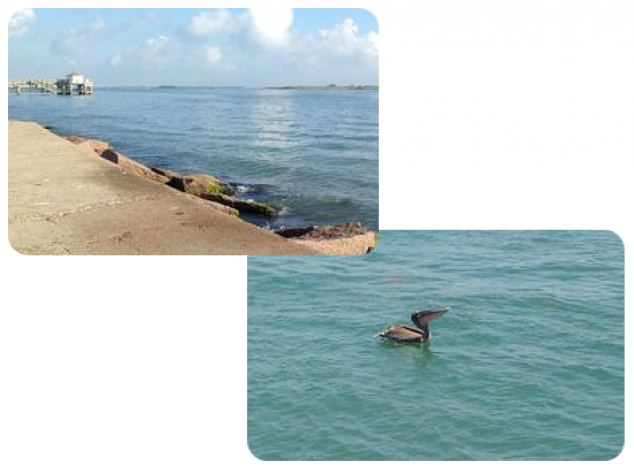 Click here for basic daily observations of the jetties.